Improv, acting without a script, is sorta like writing without an outline. For you pantsters (those who write-by-the-seat-of-your-pants), this feels normal. For us outliners, it feels scary. But when I think about pantster writing as a type of Improv, I feel better. Whatever the previous actor sets up, the next actor must embrace as truth, as the logical next step, as the inevitable direction of the story. And they must take everything a step farther along the story line. That attitude has been helpful when I create plots, too. I make an assumption about the situation, characters, action and decide what to do next. Immediately, I accept that assumption as Truth (with a capital T), and move from that assumption to the next action. For example, maybe I am writing a thriller and decide that Detective Angelina must go from New York to Cairo to follow a clue. YES! Immediately, I plunge her into the midst of a Cairo suburb, perhaps sailing on the Red Sea, or walking through a crowded bazaar. Then, I decide where to go next. In the bazaar, she meets a silversmith, who offers to make a special bracelet that she must pick up at his shop in the north part of the city. YES! But what is the plot seems to become too convoluted. 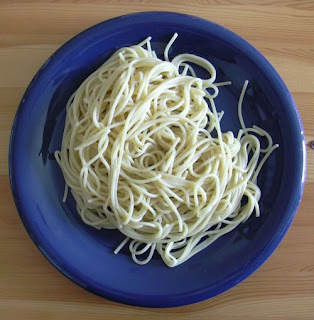 In his book, Writing for Story, Jon Franklin addresses what he calls a spaghetti plot. His term refers to a plot that has become more and more confused until it is as tangled as a plate of spaghetti. He suggests that to untangle the spaghetti plot, you simply back up to a place where everything is in order. When Detective Angelina was in New York, was the plot tightly focused and on track. Then, simply backtrack and have Detective Angelina stay in New York City. In other words, when plotting, you should say, “Yes,” and proceed on that assumption. But occasionally, the Yes was a wrong direction and you must go back to a previous position of strength. Once there, though, you must again proceed on a Yes basis, because you must wholeheartedly buy into the story—if you don’t, the reader won’t either. That’s what Yes does for a story: it gives believability and authenticity. If you ever waffle with a Maybe, I won’t follow you. However, as a writer, you must recognize that the strategy works for drafts of a novel; but in revising, you may need to throw out or modify scenes—go back to a place where a Yes meant a wrong turn. I like the spaghetti image. Great visual and advice. Gives me something to...noodle on.